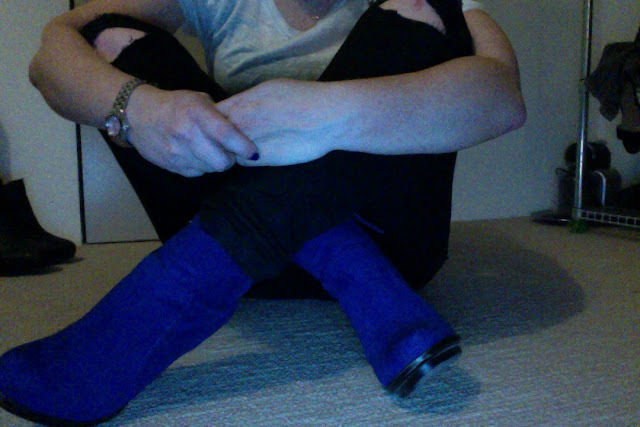 I'm cr-cr-cr crazy about this royal blue colour, so when I saw these lil blue booties in Zara I just knew I needed them. They achingly pinched my feet when I first had them on this morning (I'm well known for having paving slab feet) but I think I broke them in during the day and they got pretty pretty comfy. It feels awesome not having them on now like. 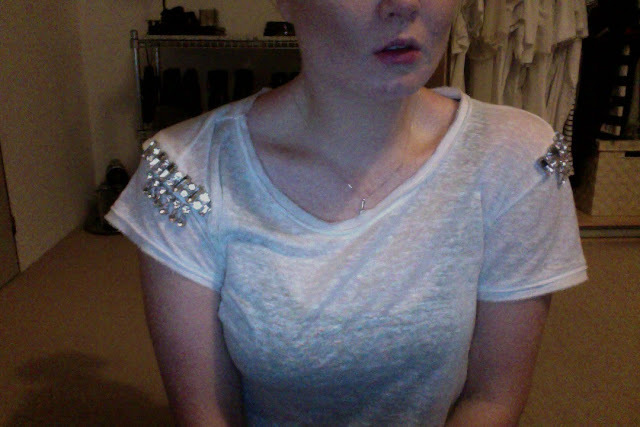 LOVE that Zara T-shirt. Want one! Vind je laarsjes zo mooi! Erg mooie kleur.